Made by Hunters for Hunters. Our focus is always on quality, and we know that the best quality craftsmanship is found right here in the United States of America. A quality hunting experience shouldn't be uncomfortable. Ideal for videoing or companion hunting in comfort. • Over 7′ head clearance. 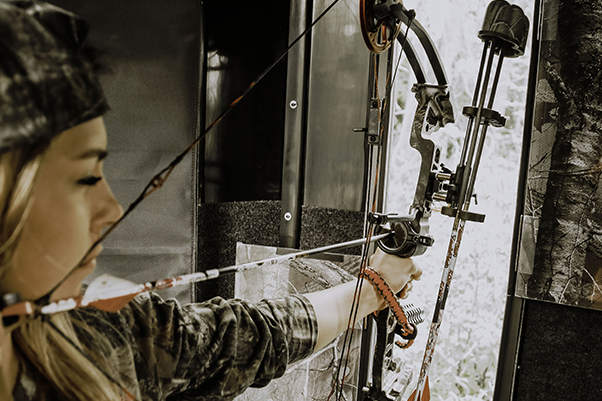 Follow your mark silently and effortlessly from one window to the next, without releasing bow tension or knocking the barrel on anything. 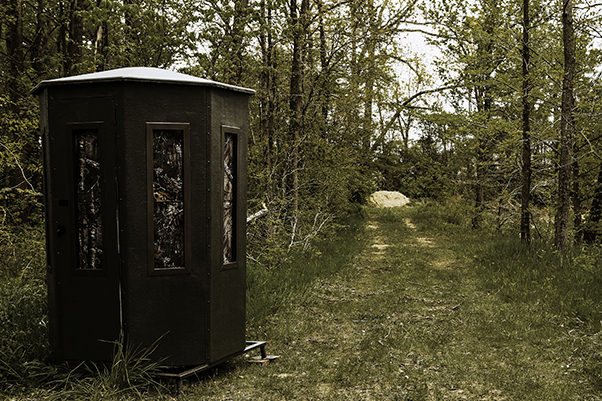 EZ Hunt blinds provide locations to store both firearms and archery. 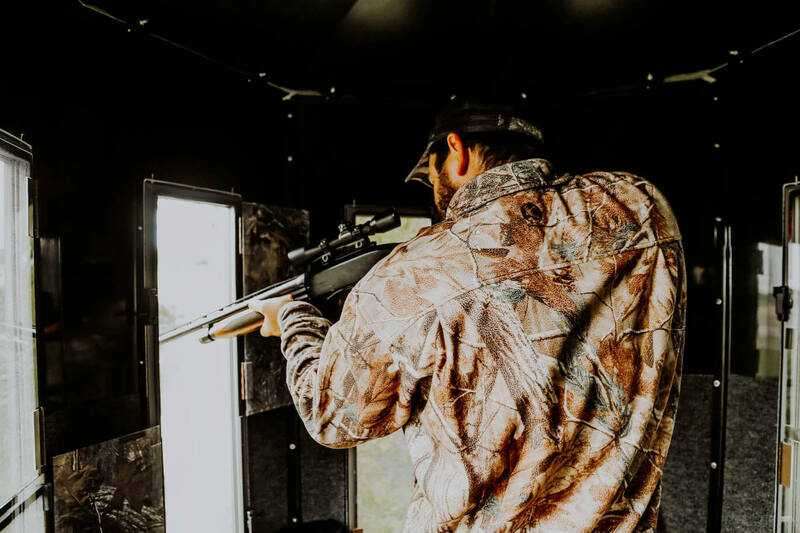 OWN THE MOST COMFORTABLE AND EFFECTIVE HUNTING BLIND TODAY. So you can focus on the hunt. • Durable gel-coated fiberglass, inside and outside of walls and roof. 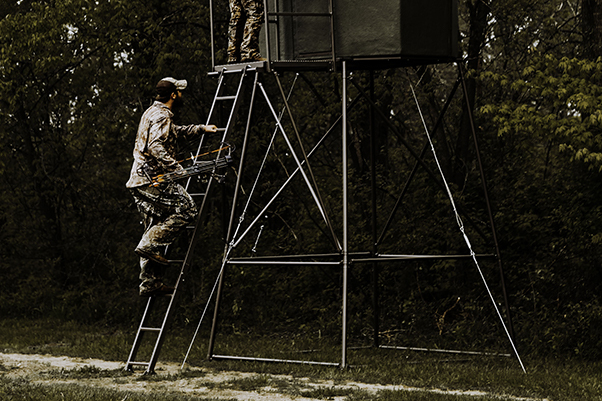 The EZ Hunt Tower is engineered to withstand up to 90mph winds. • Powder-coated tubular steel legs and frame with easy assemble brackets. • Available in 6′, 9′, 12′, and 15′ heights. We want you to not only feel safe, but to enjoy a blind that is easy to get into. • Spacious platform with double safety rails. • Ideal for hunters of all ages. 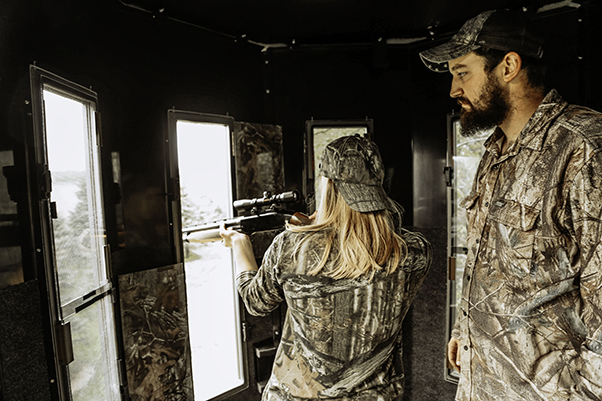 COMPLETE YOUR HUNT FOR THE PERFECT BLIND. Giving you the perfect view, while keeping you out of sight. 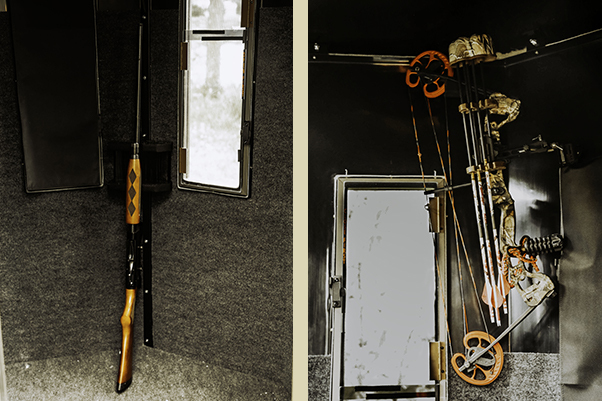 We care about the little things that could turn a good hunting experience into a great one. EZ Hunt blinds are created to be functional and provide the most practical features for all hunters. The blinds with no blind spot. WE GIVE YOU THE BEST SHOT FOR YOUR BUCK.